This challah cover is part of the Rikmat Elimelech designer collection. This challah cover made from linen fabric, puts a modern artistic flair on the traditional Shabbat table. A gray colored section on the left side has a small white framed square with an artistic red colored “rimon”, pomegranate. 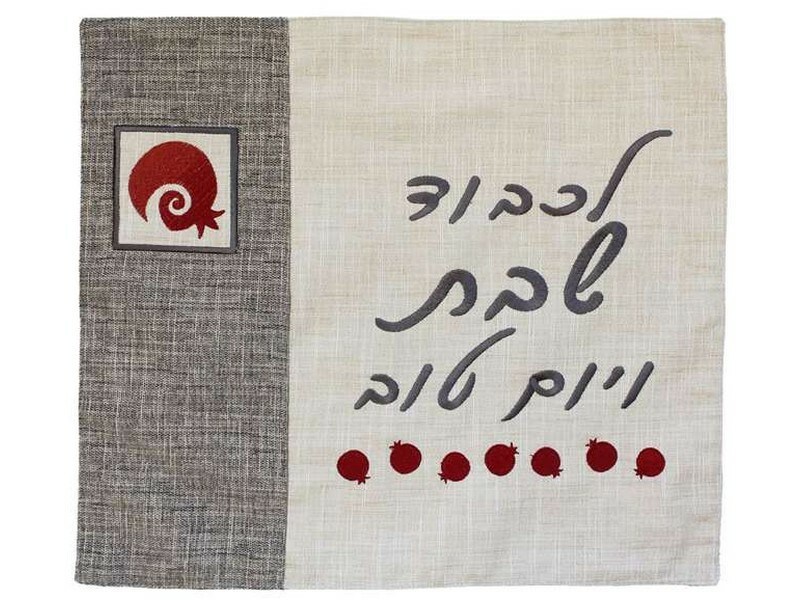 The Hebrew words “Likavod Shabbat V’Yom Tov”, which means “In honor of Shabbat and Yom Tov” are embroidered in large script font with small red “rimonim”, pomegranates, lined up in a row underneath.